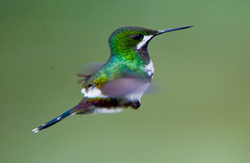 Located just two and a half hours west of Quito is Mindo, a small village known for its cloud forest that stretches to the slopes of Pichincha. One or two hours east of mindo is Otavalo, A town famous for its indigenous market held on Saturday, which dates back to pre-Incan times, where bargaining has traditionally been something of an art. 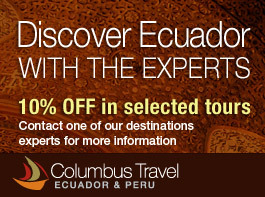 Discover some of the most amazing destinations in northern Ecuador. Hike through the bewitching Mindo cloud forest and be amazed by how beautifully it bursts with life. Continue on to the colorful Otavalo market, where merchants gather from all over Ecuador to sell the most gorgeous handicrafts, delicate alpaca sweaters, and many other products. We will finish our tour in the breathtaking Papallacta natural hot springs, which will renew your spirit, on a backdrop of stunning mountains and a seemingly endless paramo ecosystem. On the first day of this journey, your guide will pick you up from your hotel and you’ll head to the small town of Mindo. Here, we will visit a private reserve that protects part of the cloud forest and is known by the locals as Waterfalls Sanctuary, due to the amount of waterfalls that can be found in this area. Your guide will take you on a hike around this forest as you discover the wide diversity of plants that are contained in his small part of the forest. After lunch, we will visit a butterfly farm where you will be able to see the magnificent beauty of the different butterfly species that live in this area. Here you will be able to see the entire metamorphic process of these curious insects from small larva to a magnificent butterflies. We will spent the night in Mindo, immersed in the fascinating sounds of nature and the stunning beauty of this clouded forest. After breakfast, we will continue our journey to the next destination, the town of Otavalo. We will drive through impressive landscapes, passing dry forests and spectacular green crops. On our way we’ll encounter majestic mountains, and on a clear day we will see the breathtaking Cayambe – one of the highest active volcanoes of Ecuador, reaching an approximate height of 5,790 m (19,000 ft). Here, we will take a moment to take some photos of this delightful journey, and we’ll also try the local delicacy, a biscotti-like pastry called “bizcocho” that is usually accompanied by cheese and hot chocolate. We will spend the afternoon relaxing and enjoying the tranquility of this part of Ecuador. In the morning, after an energizing breakfast, we will visit the Otavalo market, a joyful place where artists and craftsmen from the nearby towns gather to sell the most charming handicrafts, paintings, sculptures, and much more. 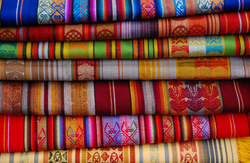 Between the fines tapestries, colorful ponchos and the best alpaca sweaters and mittens, you’ll be able to find that perfect souvenir of your trip to the Andes here at the Otavalo market. Walk around this colorful market and discover the joy and charisma of the locals, bargain with them for the best price, and enjoy a delightful day in this indigenous market. After lunch, we will drive to your next destination, the thermal pools of Papallacta. 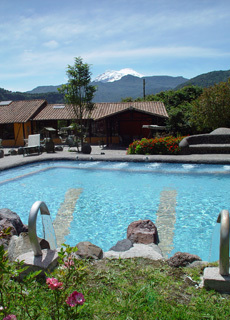 Located in the middle of an inhospitable paramo, Termas de Papallacta is one of the best spas in Ecuador. Here, we will enjoy the superb service and the relaxing and healing power of the natural hot springs of this fascinating area. The night will be spent in Papallacta. Papallacta thermal pools are well known for their therapeutic properties, and their unique origin gives them a unique mineral concentration that will help you to relax and relieve any type of muscular or joint pains. In the morning you can enjoy a relaxing bath in the thermal pools or you can take a relieving massage in the spa (price not included in the package). Or if you prefer you can also take a short hike in the surrounding paramo and enjoy the charming landscape of this idyllic place. In the afternoon after lunch, we will return to the city of Quito, thus finishing this amazing journey across northern Ecuador.